for additional rate information and to schedule your photo shoot. Senior sessions and package begin at $250. See below for details. an ordering session and an online gallery of portraits to share with friends and family. The session fee includes up to 2 people. Please add $10 for each additional person. Minimum print order of $100 applies to all personal sessions. Pricing for Newborn sessions begins at $200. Thank you for trusting us with your precious memories! Digital File downloads are available for purchase after a $200 minimum print order. Custom sizes available with up to 9 images. *Wall Display Portraits and Collages are mounted on matboard to preserve the prints. Matboard can be added to smaller prints for an additional charge.. Shipping and Handling and Sales Tax will be added to each order.  Thank you for choosing Daniels Photography! Professional retouching and signature processing on all ordered images. 50 - 75 images to choose from in your online ordering gallery. 1 - 2 hour session with 2 outfit changes at two locations. 40 - 50 images to choose from in your online ordering gallery.